With every introduction, Panasonic seems to improve steadily in image quality and features with continued innovation especially in the areas of HDR imaging and O.I.S Optical Image Stabilization which now sports a hybrid system that uses three technologies to create what might be the best stabilized camcorder ever produced. The demo is certainly impressive and should make every high zoom fan excited about the possibilities of this technology in higher end gear. LEICA DICOMAR 24X optical zoom lens (25-600mm, F1.8-4.0), and large 1/2.5” BSI MOS Sensor for impressive capture even in low light. For a more natural looking image, a new Active Contrast feature equalizes contrast, and the HDR Movie mode enables a wider dynamic range between dark and bright areas. The New 4K lens covers the range from 25mm wide-angle to 600mm tele with a 24x zoom achieved by a 4-Drive Lens System. The stunning wide-angle setting not only fits large groups of people and background images into narrow locations but is also convenient for taking selfies with a rotatable LCD. HSC- We will only focus on the WXF1 and the VXF1 which share most of the features except manual ring control and extra software enhancements. As you can see the Red Accent is back on the WXF1K like that present on the G9 and GH5s, seems to signify the best of the best in their line-up! That should be pretty good performance along with the improved HDR recording. The new Adaptative O.I.S technology above seems to combine gyro stabilization along with warp electronic image stabilization to create a very convincing result for extreme handheld zoom. 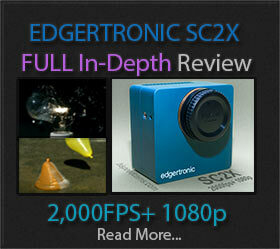 This is the best stabilization we have ever seen on a camera of this kind. Panasonic seems to innovate even in product lines that find it hard to create a growing market. Hopefully, these technologies will find their way to other cameras in their line. Previous Postfps4000 In Production Plus New Quality Footage!Next PostGalaxy S9 Super Slow Motion Leaks! Panasonic should have tried to incorporate 200 fps full HD no time limit recording in those cameras and then with their rather good in-camera interpolation technology offer 400 fps footage. I think this should be technically possible nowadays. We believe that the move by Panasonic hear was improve low light with a better sensor and lens. They also did well with the stabilization combining 3 techniques in one. High frame rates were not their focus this time around. Sony will probably have some surprises this year. I can’t seem to find any actual specs on the HC-WXF1K, such as full SD vs micro SD, how many SD slots, are larger batteries available, etc. I was going to pre-order from Panasonic, but want to get at least one SD card and extra battery, but those aren’t an option from their site, nor are the specs or manual for this camera they plan to release in a few weeks. 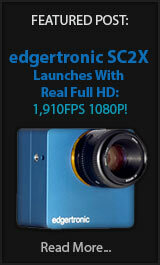 Panasonic has been really cryptic about these cameras. They seem ok but would not be our first choice for 120fps which is the maximum they will allow. The stabilization seems to be the only real advantage to a mirrorless camera.